UE Nursing program provided a very challenging learning experience. It provided me a very broad Nursing experience and knowledge to begin my career as a RN. 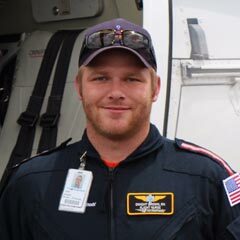 This experience and knowledge setup me up perfectly to succeed as a practicing Registered Nurse and helped me to achieve my ultimate goal of becoming a Flight Nurse.